The Tottenham Charter is a commitment by key partners to support local residents with skills and experiences that will enable them to make the most of their own opportunity and ambition. Find out more about the Charter in action below. 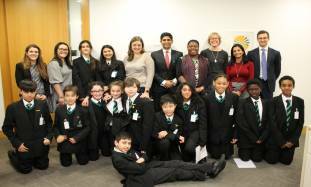 Year 7 pupils from Duke's Aldridge Academy in Tottenham have been taking part in a mentoring programme to build their confidence as they make the transition to secondary school. 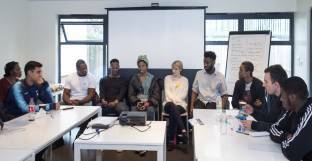 Speak Street, a locally developed social enterprise, with support from Linklaters has been delivering English language classes to students, and their parents, at Duke’s Aldridge Academy in Tottenham. 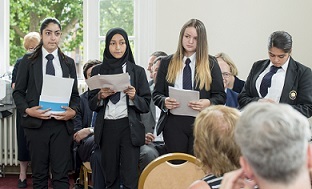 The movers and shakers of the future recently had their own business event thanks to Haringey Council’s Tottenham Charter initiative. As part of Global Entrepreneurship Week 25 business students from Haringey Sixth Form College enjoyed a day at the 639, Enterprise Centre on Tottenham High Road. 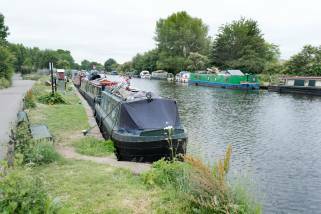 In Tottenham Hale, the developer for Hale Works, Anthology has signed up to the Tottenham Charter. They’ve pledged to work closely with the local community to provide skills and experiences to help residents make the most of their opportunities and ambitions. 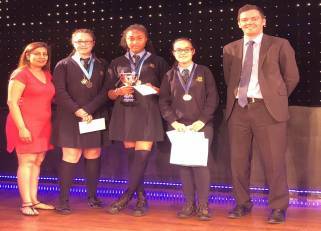 Year 9 students of Gladesmore Community School recently completed their Design and Technology coursework, delivered as part of Haringey Council’s Tottenham Charter. Working with Grainger plc, students produced designs for play equipment at the Apex House development in Seven Sisters. The Tottenham Charter launched at Tottenham Town Hall on Friday 30 June 2017. On the day attendees enjoyed presentations from students at Northumberland Park School and celebrated progress on pledges from our partners. Local young people have joined forces with a leading construction company in order to improve a popular adventure playground. 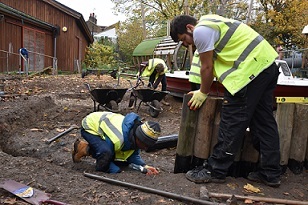 A group of 16 – 19-year-olds have been busy designing and building a new sandpit and water play area in the Somerford Grove Adventure Playground. 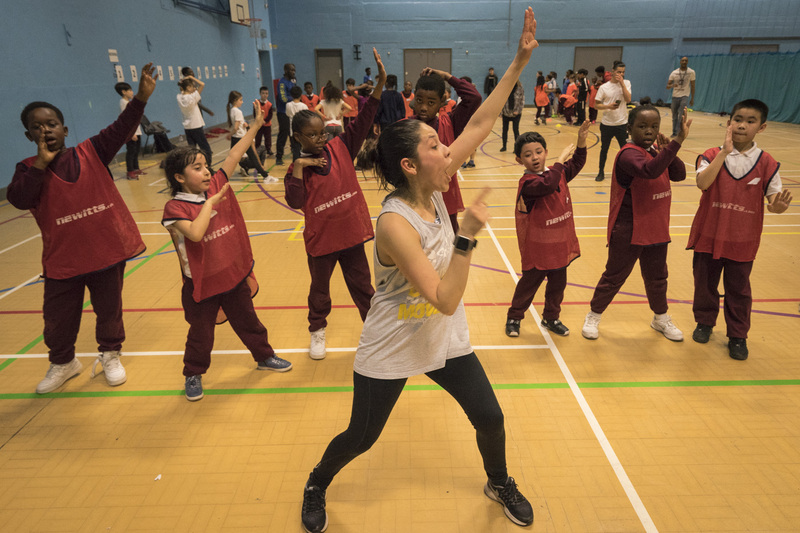 Pupils from Brook House, St Francis de Sales and Devonshire Hill Primary Schools came together on March 8 2018 at Tottenham Green Leisure Centre to try out new sports at the SportInspired Games.